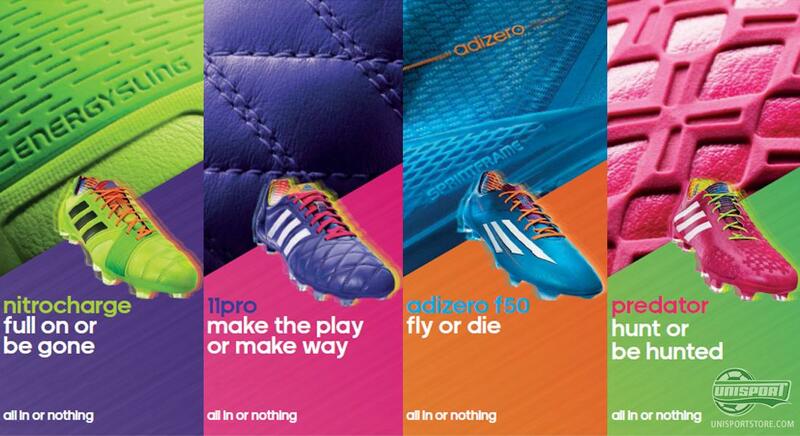 The world cup in Brazil is now just two seasons away and Adidas are preparing for Brazil by launching four brand new boots that are full of life, colour and creative football aplenty. 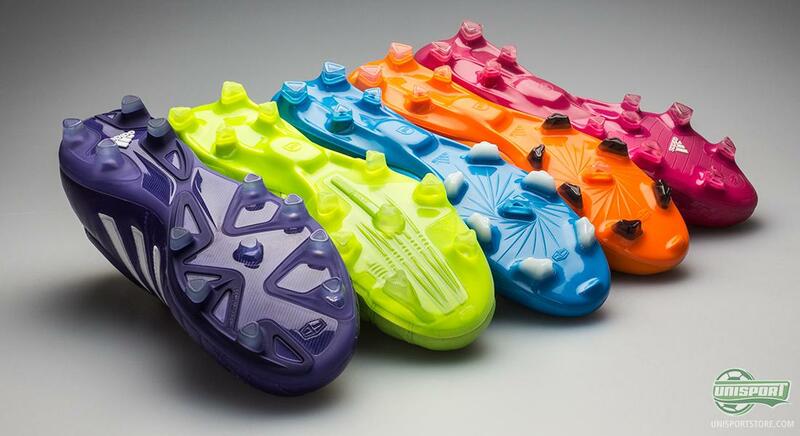 We now take a quick look at the new boots, before we go into depth with each boot throughout today. Even if the winter is closing in and it's cold, grey and wet, the Brazilian samba rhythms are not far away. This summer we will be treated with the world cup in Brazil, and Adidas provide a taste of the pulsating and colourful samba life by launching brand new colourways for their four boot silos, that have strong associations pointing towards Brazil. The colours are bright and shining, something that can really help you get your mind off the winter cold. If you prefer blacked-out boots, you may wanna close your eyes, but if you want a true colour fiesta, the Samba collection is surely your kind of party. It is still seven months before the world cup in Brazil kicks off, but with this Samba collection you can already now get the summer feeling, football fiesta and colours in abundance. The football atmosphere in Brazil is going to be all over the place, once the World Cup kicks off, and the enormous football joy we will experience is already now on our mind with this Adidas Samba collection and until the world cup kicks off. 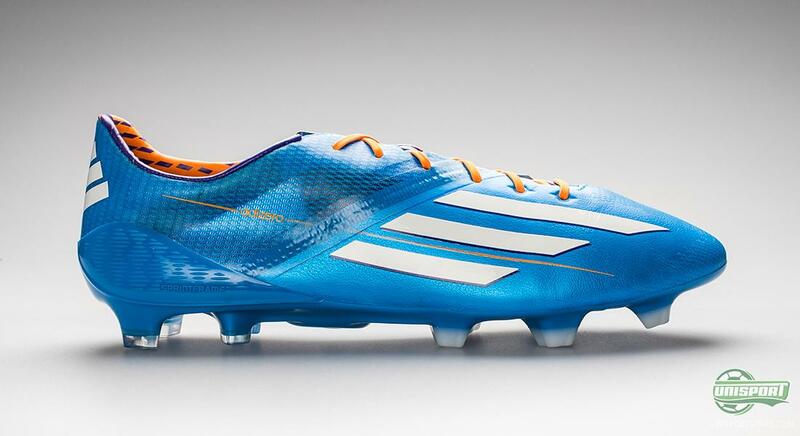 Among the most important news in this Samba collection is the Adidas F50 Adizero. 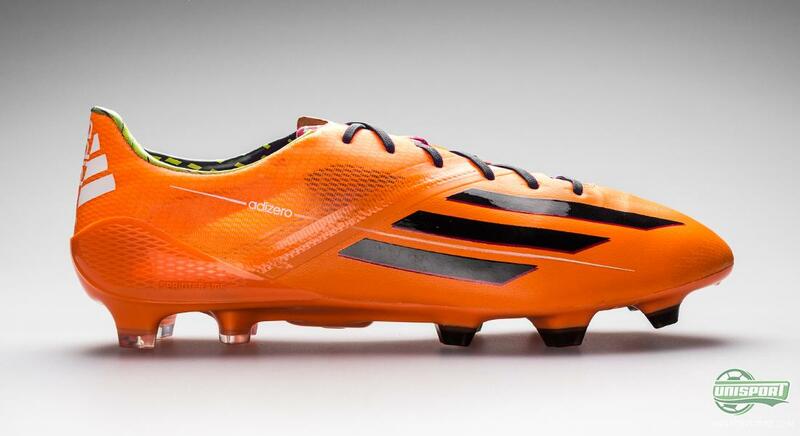 Not only are we talking about a new colourway; Adidas can today present the fifth generation of the F50 Adizero. The lightweight boot has been updated and optimised to the fullest, and in it's new version it weighs in at just 150 grams, which brings three things to our mind: speed, speed and more speed. 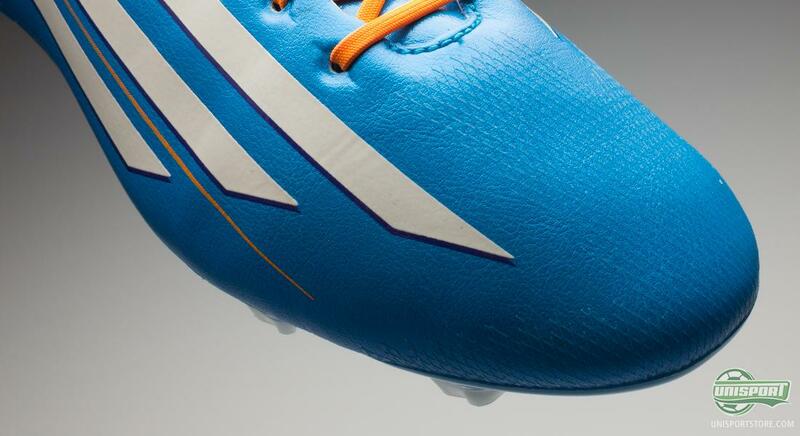 On the new F50 Adizero, and as something new, the upper is made of the Hybridtouch material, which has been made even thinner to ensure minimal weight. In addition, Adidas also introduced their new technology bribbletex, which are 3d contours on he upper, that serve to improve ball grip, both in wet and dry weather. Are you looking to get your hands on the new Adidas F50 Adizero Blue/Orange/White, then you can see much more right here. The boot comes in two different colourways, that will surely both attract attention on the pitch and spread the Brazilian football joy. In addition to the blue colourway, the boot is also launched in a loud and colourful orange colourway, that not only look good on the pitch, but will also be able to do well in a Rio de Janeiro carnival. 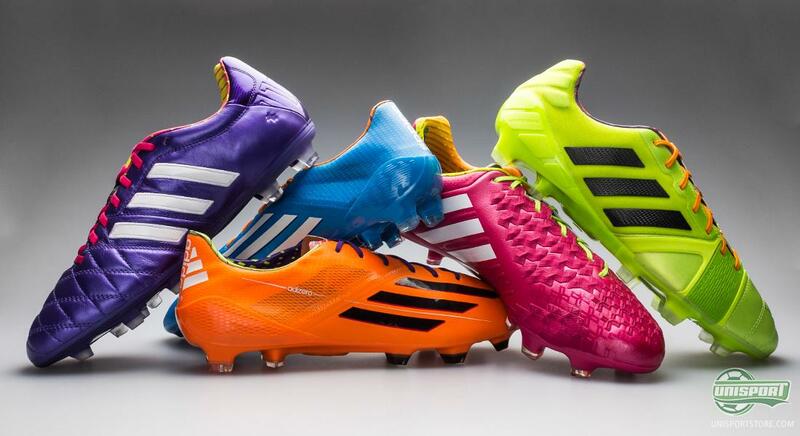 The new Adidas F50 Adizero is designed and developed with the aim of making a good boot even better. 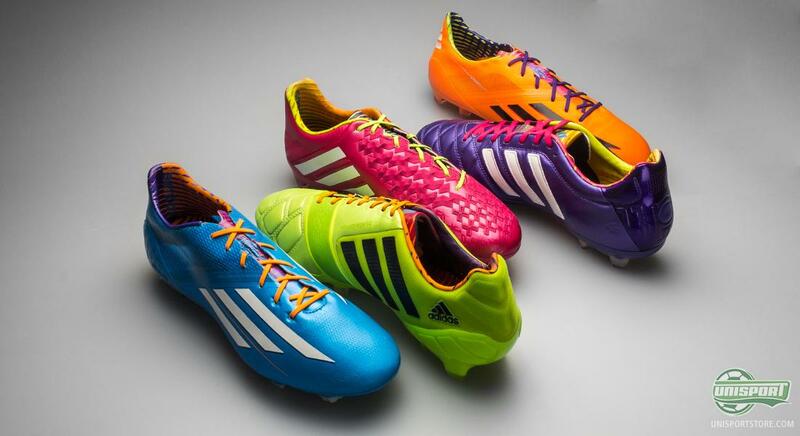 Adidas have been working hard to improve every part of the already popular boot, and whether we are talking about the upper, the stud configuration or the inside of the boot, then Adidas have made use of feedback from their professional players in order to make the ultimate lightweight boot. The new Adidas F50 Adizero comes, as we have become accustomed to, both in a synthetic version, as well as a leather version. 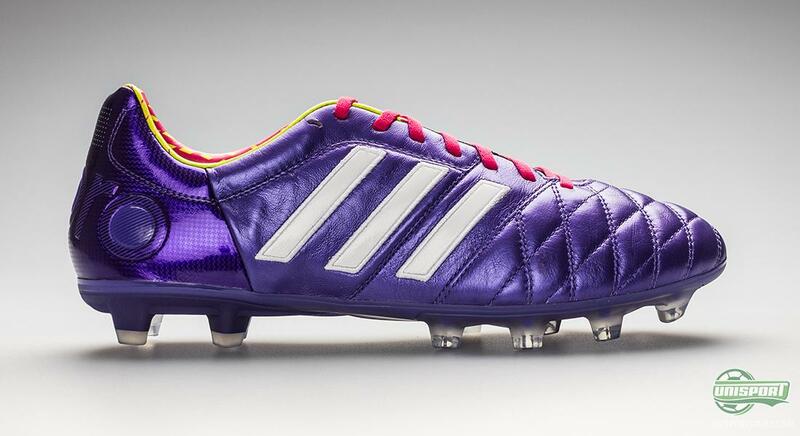 The Adidas adiPURE 11pro has also been given an update, and with a purple colourway this boot certainly doesn't look like it's more subtle predecessors. Adidas have worked on making the upper even better. Once again the choice of material has been the soft Taurus leather, now with increased stitching to provide a snug, comfortable and personal fit in the boot. In addition, the stud configuration has been redone with more and smaller studs, as well as more support. 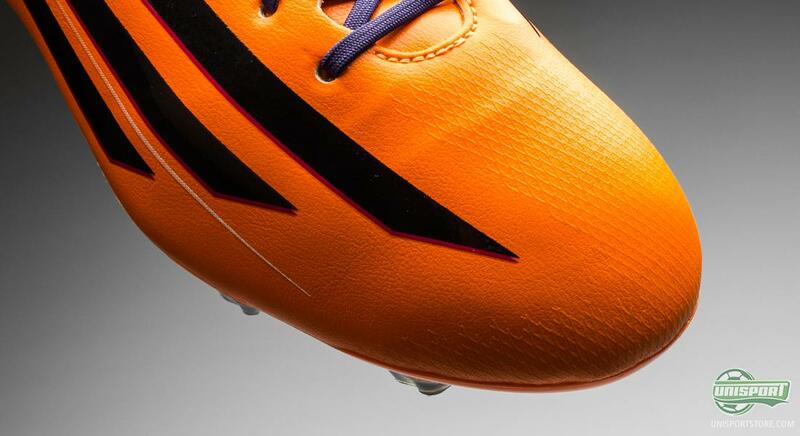 Are you looking to get your hands on the new Adidas AdiPURE 11pro II purple/orange, then you can see much more right here. 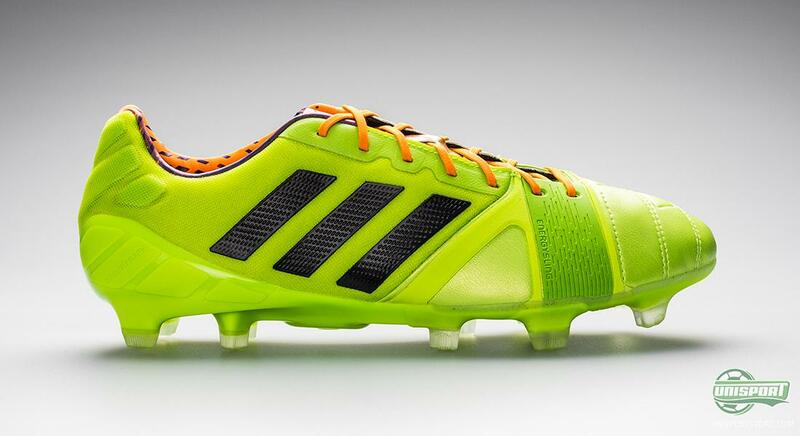 On the other hand there is not much new in terms of the Nitrocharge, besides that the boot has been given a new colourway that shines as bright as the Brazilian sun. 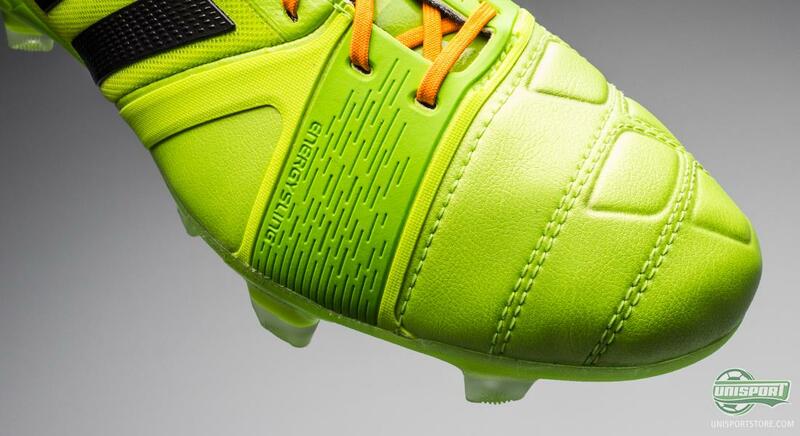 The Nitrocharge is now covered in a neon colour, and there is no doubt that fans of colourful and attention demanding boots will not be disappointed by the new Adidas Nitrocharge 1.0 in any way. The Adidas Nitrocharge 1.0 is targeted towards the engine of the team, who works hard in the entire 90 minutes of the match, and hereby needs maximal energy for for each tackle and pass. Adidas' revolutionising Energysling ensures that your midfoot is kept in place, so that you will not waste energy and hereby maximise the power transfer. The aim is for an optimal performance for the team. Are you looking to get your hands on the new Adidas Nitrocharge 1.0 Neon7Black, then you can see much more right here. Adidas' control boot, the Adidas Predator LZ II is also back in a shinier colourway than ever seen before. 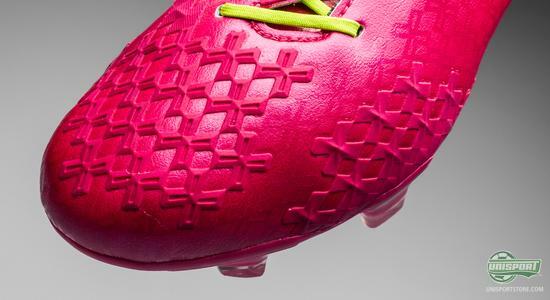 The boot silo has been through many a colourway throughout the years, but few have been as sharp as this pink boot. 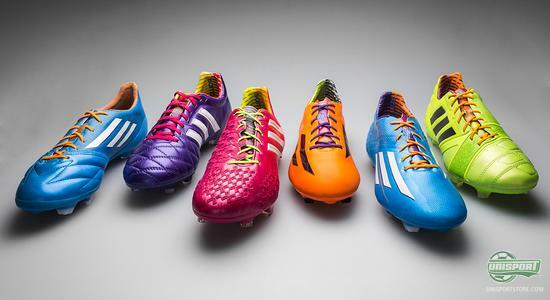 Even if the colours are rather loud there has been no compromise on the maximal level of control, which is the DNA of this boot. The boot is equipped with the well-known lethal zones on the upper, which serve to provide optimal ball control in any situation. And this no matter if you are dribbling, striking, passing or trying to curl a free-kick into the corner. 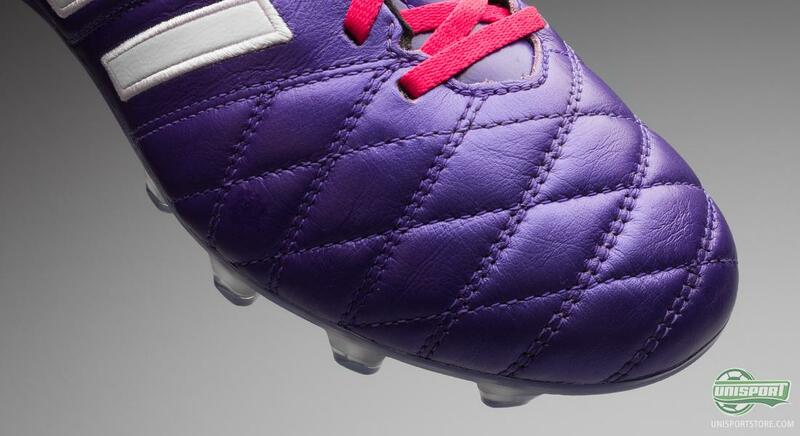 On the upper you will meet the super nice Hybridtouch material, which is already a favourite on the market. 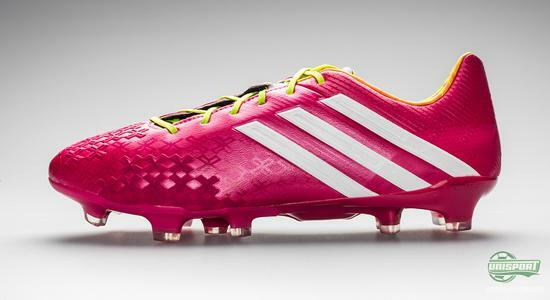 Are you looking to get your hands on the new Adidas Predator LZ II Pink/White, then you can see much more right here. Throughout today we will take a closer look at each of the new boots from the Adidas Samba collection, and we are looking forward to going into depth with each of this samba beauties. What do you think of the collection? And which of the boots is your favourite? Feel free to leave a comment either here, or on Facebook and Twitter.